Cultural figures are among the 161 signatories of a letter published today (17 January) in the Times newspaper, urging the leadership of both main political parties to support a People’s Vote on whether to leave the EU. Notable people within the art world and related cultural sectors include— Gary Waterston, the managing director of Gagosian Gallery, Natasha Plowright, the director of communications at the Photographer’s Gallery, the architect David Chipperfield and Matthew Slotover, the co-director of Frieze Art Fair and the founder of Frieze magazine. The letter states that a second public vote on Brexit is the only feasible way to stop the UK from “crashing out of the EU with no deal at all”. The letter was published following a vote of no confidence held yesterday in parliament which saw Prime Minister Theresa May narrowly hold on to power by 19 votes. 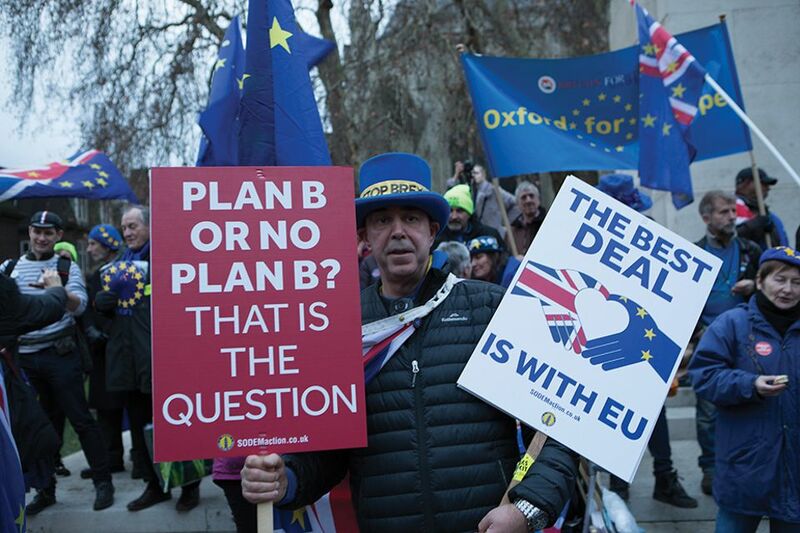 May's EU withdrawal plan was rejected by MPs on Tuesday evening (15 January) by a historic margin when it was rejected by 230 votes—the largest defeat for a sitting government in history. The PM is due to publish a new Brexit plan on Monday with a full debate and key vote scheduled for 29 January.